Facebook To Buy Opera? Maybe. Here's What We Hear. Facebook to acquire browser maker Opera? Maybe. Here’s what we know. Juicy rumor coming from Pocket-lint this morning: Facebook is reportedly eyeing a takeover of desktop, tablet and smartphone browser maker Opera Software. Citing an unnamed source, Pocket-lint says the social network juggernaut is considering an outright acquisition of the Norwegian software company to accelerate a move onto the battlefields where the browser wars between Microsoft, Google, Mozilla, Apple and since recently Yahoo are being fought. But not so fast. First of all, we asked Opera Software for an official response on the report, and a spokesperson declined to comment. Update: Facebook also declined to comment. 1) Opera Software management is talking to potential buyers right now. Currently listed on the Oslo Stock Exchange, the company’s leadership is said to consider becoming part of a larger privately-held or public company rather than trying to keep growing the business independently. 2) We’re told that there’s currently a hiring freeze at Opera, which is a surefire sign that something big is about to happen – or at least that Opera wants something big to happen. We’re trying to get more sources to corroborate these stories, but the above comes from a very solid source. Our source was unable to confirm whether Facebook was one of the potential acquirers, but said it “would make sense”. Indeed, an acquisition of Opera could give Facebook a major boost if they decide to enter the browser wars for real (and they may eventually have to). As the company itself admitted when it filed to go public, it has some issues monetizing mobile right now, and that’s where its users are increasingly heading to visit Facebook. Facebook has long been rumored to be working on a full-fledged mobile operating system based on Android, and even its own (HTC-made?) ‘social’ smartphone. 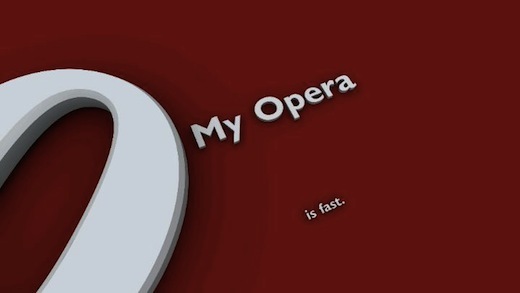 About 270 million people use Opera browsers every month, the software company claims. Furthermore, more than 168 million people used the Opera Mini browser in March 2012, with a total of 117 billion pages served. The company has deals with mobile device (and TV) OEMs and carriers worldwide. Opera also just bought not one but two mobile advertising companies (after picking up AdMarvel back in January 2010). Opera boasts more than 750 employees today and a strong executive team. Its chief technology officer, Håkon Wium Lie, is a pioneer in the Web field and a standards expert who is often described as the ‘father of CSS’. Established as an independent company back in 1995, Opera expects to book roughly $50 million in revenue for the second quarter of the year. Its market cap currently hovers around $670 million. That would make it an expensive purchase, but Facebook’s recent IPO certainly put the social networking company in a solid position to close major deals like an Opera Software acquisition. Let’s not forget it spent $1 billion to buy Instagram. All this does not mean Opera will end up selling, and it doesn’t mean Facebook will be the buyer if they do. But for now, Opera execs are definitely talking to a number of different companies about what a deal could look like, our source asserts. Other likely suitors include search giants Yandex (Russia) and, yes, Google. When we learn more, you’ll learn more.